Roselyn Chinaza Okafor is a passionate lady with a deep inner desire to inspire others in a higher cause and to share her strongly held views on spiritual matters. She was born in Lagos State. In 2012, she earned an Ordinary Diploma in Biomedical Engineering at Lagos University Teaching Hospital. Roselyn craved to pursue a profession where she can serve humanity. 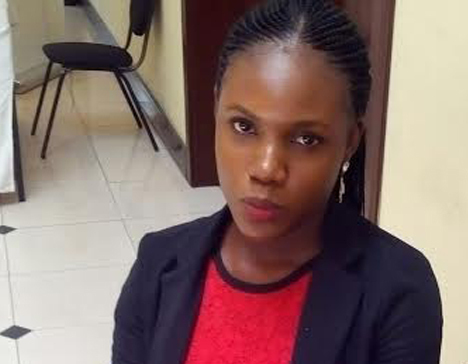 This led to her current status as a nursing student of the Department of Nursing Sciences, College of Medicine, University of Lagos. Endowed with a magnetic personality, she founded Rehoboth Agency in 2012, a christian organization for medical students in College of Medicine, University of Lagos. The organization is built on a platform of godliness with core values of love and passion. Roselyn and her team facilitate at medical conferences and exhibitions and market medical products for profit. She firmly believes in humanitarian services, therefore her team renders voluntary services at medical fairs, health awareness walks/run and youth empowerment programs. Since inception in 2012, Rehoboth Agency has partnered with over ten accredited medical and non-governmental organizations in Nigeria. Amongst which are the Nigerian Medical Association, Run for A Cure Africa and Anabel Leadership Academy. Roselyn empowers her team members spiritually and morally by organizing in-house love feasts, weekly prayer meetings, educative seminars and group outings to extend love to the less privileged. Roselyn is from a family of five and the second child of Chief and Mrs Osita Okafor. She trails the foot prints of her spiritual mother, Pastor Mrs Faith Oyedepo.